Last night an aeroplane completed it's fourth fuel-free flight landing in Myanmar as it continues its unbelievable voyage to become the first plane to circumnavigate the globe powered entirely by the sun. Solar Impulse 2 consists of 17,000 solar cells on its wings and can travel at an average speed of 70km/h. If the journey around the world is completed successfully, it could pose to be a revolutionary moment in travel and green energy. The solar plane which is capable of flying day and night had recently completed its first journey from India to Oman and will make 12 stops in total over 5 months, with a total flight time of around 25 hours whilst covering 35,000km. The longest single leg will see one of them fly solo non-stop for five days and nights across the Pacific ocean from Nanjing in China to Hawaii - a distance of 8,500 kilometres (5,270 miles). Solar energy has perhaps been on the fringes of people's interest when it comes to thinking about a sustainable future for their home or business. People know it's something they have to consider but perhaps don't have the knowledge and understanding to make an informed decision on how to react to rising energy prices and diminishing fuel supplies. 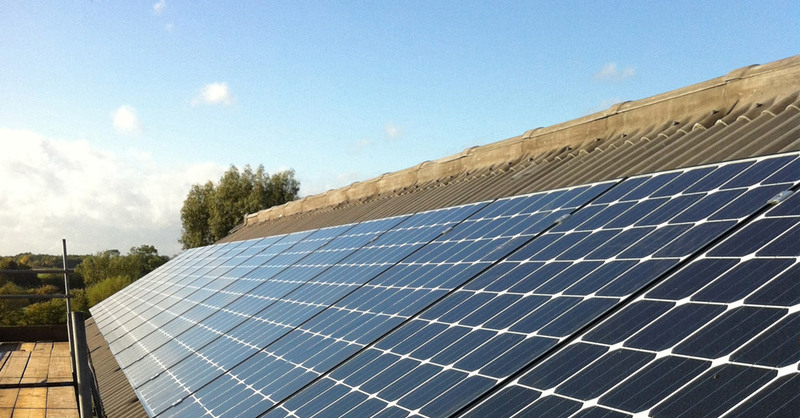 For an insight into how solar energy could work for you, please contact Simon on 0116 270 1926. We're delighted with the progress made by Solar Impulse 2 and we're sure that long distance travel would be a lot more fun when a plane is Run By The Sun! Thank you to the team at Solar Impulse for his superb image.